1700+/- feet on Eau Gallie Boulevard and 410+/- feet on John Rodes Boulevard. 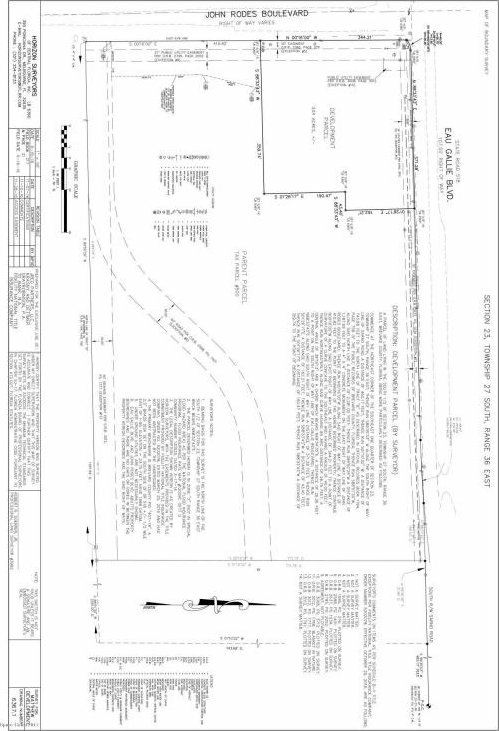 Over 35 acres of Commercial and Industrial land. Zoning and utilities in place. Near Interstate 95. Traffic light at corner. 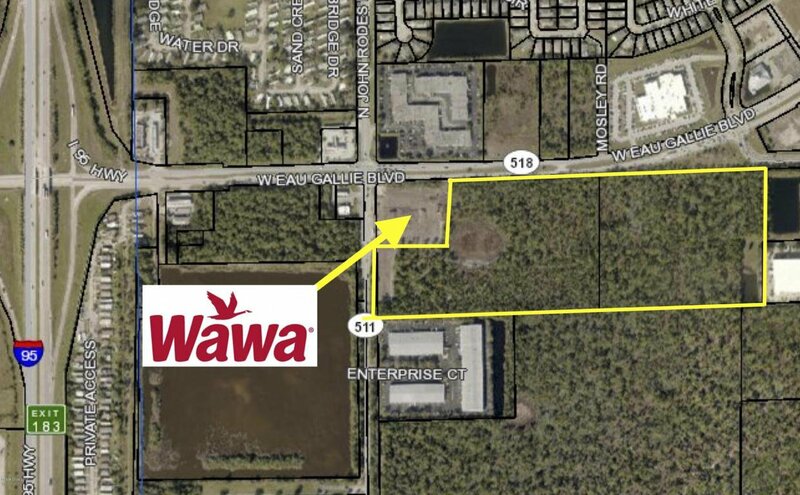 Area of employers on one of the three ingress points connecting to the beach and the Interstate into south Brevard County. Wawa under construction at NW corner of site. Small, identified wetland on site.